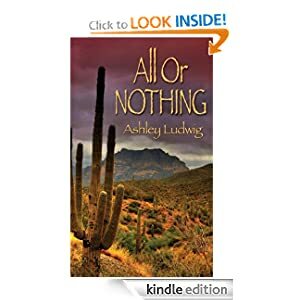 Observations | Author Ashley Ludwig | Raising daughters, writing heroes I might let them date. Raising daughters, writing heroes I might let them date. Pirate Hunter by Tom Morrisey is one of those fun reads. A pirate on the Caribbean seas–a la Captain Jack Sparrow. Though separated by time, the main characters share a family trial that forces them into a confrontation of sons and fathers. Read it because Morrisey is an excellent story teller. Finish it, because it’s got a great dual time period story, each one of wonderful detail and inspirational message. When it’s over, you want more. The ending might be a tad rushed, but the bulk of the message is a beautiful story of redemption and faith. Great job, and will look for more books by Morrisey! One book, four couples, eight lives intertwined, six of them–in grief after losing two of their own. Did you get that? Sounds like my daughter’s word problems from math homework, but in reality–it’s the Castaways, by Elin Hilderbrand. One wonders if an author of this caliber takes time to read or scan every review of her work. If so, I’m offering a hearty hello! and bravo! You’ve gone and made a fan for life. Expect a spike in back-list sales! In The Castaways, I identified most with Delilah–a dreamer, a steadfast lover, wife, and mother with her feet on the plot of land tended by her stoic, farmer husband and her head in the clouds. She knows at any moment she can take flight, run away, and yet she remains. Driven. Caring. Loving fiercely. Grieving even fiercer for her friends, lost. And love, unrequited. Okay, so I don’t identify with that part–but I have, in the past, and that’s why Delilah (who is VERY close to being a proverbs 31 style wife except for the fact that she doesn’t believe in anything but her friends and family) is easiest to identify with. At least, for me. I fell in love equally with the emotionally bound Phoebe, the two-sides of Andrea, and the men in their lives. Ed–who could be my own husband in his and Andrea’s relationship. Jeffrey–who loves so deeply just in his being there. Addison, sweet, flawed Addison. And of course, Greg and Tess, remembered by all. They are caricatures of us all in the microcosm of Nantucket. As for the place, it is obvious this is the heart of the author’s home, as much as the octet’s wanderlust shows her love of travel. Nantucket, in its beaches, it’s quaint town square, it’s dunes and isolation. Suddenly, it is someplace I must visit someday. A wonderful study of personality, friends, relationships, parenting, and forgiveness, The Castaways is not to be missed. Each page should be savored like fine wine, like exotic flavors, like times remembered. It reminds me that too often we live on the surface. There is so much below, beneath us all, that has made us into the people we are. The Castaways reminds us of that. Of failed expectations, secret hopes, hidden dreams, and in the end, that love is all that matters. Thanks, Elin! and I look forward to following you out of The Castaways, and into The Island. 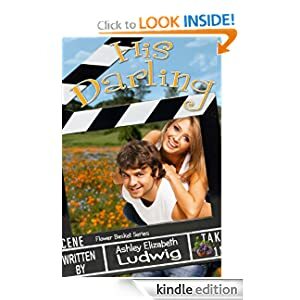 Read this astounding review on HIS DARLING by HEA Reviews. HEA, for those of you not in the know, means Happily Ever After. We’re all about Happily Ever After in my house. After all, I’m raising a couple of princesses. This review is special, however, because while I strive for five star writing, a review like this makes me pause. What about it is special? What makes me feel like I’ve just slid my toe into that glass slipper? Felt it snug around my foot like a lover’s hands? Love can bloom at any age…But, will it wilt under the spotlight? Former fifties Hollywood starlet—Nona Darling—fell in love onscreen over and again. In her granddaughter Misty’s opinion, true love only exists in the movies and too often, she falls for the villain. Running from a failed relationship and her film production company turned tabloid, she returns to Almendra, California to care for her grandmother, and hide from the world. 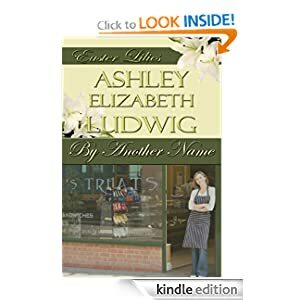 Cain Trovato, a small town jack-of-all-trades, finds Misty and refuses to let her escape into obscurity. Blocked for years from songwriting, he starts putting words to music as a way to define his growing feelings. When the Almendra Film Festival spotlights Nona Darling, Misty’s former fiancée makes a claim to reveal her grandmother’s secret past. No amount of editing will spare the coming scandal. 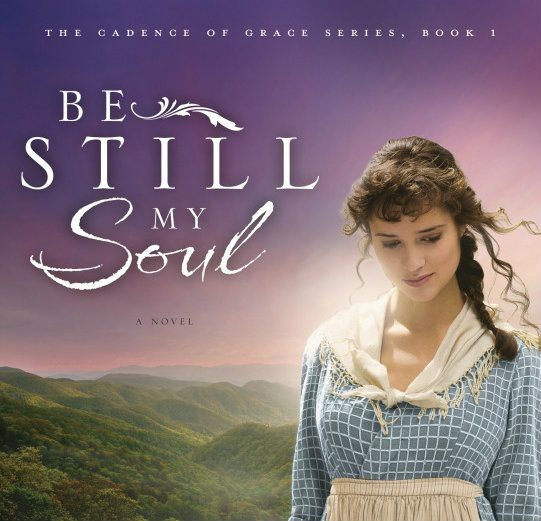 With Cain at her side, can Misty believe in a happily ever beyond the rolling credits? All I can say is, Wow! This story is incredible. Part of the Flower Basket series, each story by a different author, stands alone in its own right. If you only read one, this one would be it. Cain, a musician and man of many talents, is desperate to write songs again, not having written since his high school girlfriend left him ten years previously. Misty, fleeing a controlling ex-boyfriend hides out in a sleepy town under the guise of caring for her grandmother. Slowly she gets her life back, in more ways than one. The setting is amazing. I love books that pull you in and make you feel as if you are there and this one does that with its simple but intricate description of the breeze, the olive trees, right down to the paint on the walls and the faded curtains. Firmly grounded in reality, both Misty and Cain show their fears and strengths equally, in this love story that keeps you turning the pages. The sub-plot is lovely and I didn’t see it coming. The ending is perfect. Definitely one to read over and over. What are your favorite book review sites on Twitter? We are putting the finishing touches on our growing book review directory for GalleyCat Reviews, and we realized that we can’t exclude Twitter. The microblogging site has become a hub for many book reviewers and readers. Last year, we interviewed Eric Mueller, the co-founder of the Twitter book review, Flashlight Worthy Book Recommendations. They’ve since grown to include more than 80,000 followers. In addition, we’ve already uncovered a few hashtags for literary criticism, including: #bookreviews, #reviews #books, and #bookchat. Even better, TweepSearch lists 575 book reviewers on Twitter. Where do you go for book reviews on Twitter? Add your favorite Twitter reviewers in the comments section, we’ll add them to our growing collection of literary criticism on Twitter. After the jump, check out the ten most popular self-identified book reviewers on Twitter, ranked by number of followers. Here are the book reviewers with the most followers, according to TweepSearch. 9. Katlogictalk: Award winning Blogger of Kat Logic, published author, book reviewer, business owner. I’ve learned so much from my girls this summer. They have worked so hard at swimming, at learning to ride bikes, goals are key and positive reinforcement means everything. I’ve learned how I handle things greatly determines their outlook. When addressing a mistake, it is more important to rebuild them then to focus on the error of their ways. Life is more important than fiction. Time spent daydreaming with little girls is worth more than any paycheck. And, most importantly, though marrying a knight in shining armor matters… nothing polished that vision of him like seeing him laugh and play with your children. Hope you are having a lovely summer. I’ll be spending the rest of it revising my current manuscript, MAMMOTH SECRETS.